A vehicle hit a pedestrian Thursday evening in Spokane's South Hill neighborhood, and now the local police are asking for help locating the hit-and-run driver. The incident happened at 29th Avenue and Freya Street around 7:20 p.m. Witnesses told police that a pre-teen boy was walking a younger child across the street – in a crosswalk – when a vehicle ran through a stop sign and hit the boy. The boy suffered non-life-threatening injuries and was treated at a local hospital. The suspect’s vehicle is described as a late 80's to early 90's, dark colored (possibly gray), four-door sedan with tinted windows and a damaged front end on the driver's side because of the collision. 1. Stay calm and move away from the street: A wave of emotions are likely overcoming you at this moment, probably a mix of anger, panic and confusion. It’s important to try and breathe and control yourself so you can stay safe from further harm. 2. Keep the driver at the scene: This is extremely important but is not always possible. Even if you are uninjured, gathering information from the at-fault driver is critical. Some pedestrian victims feel they are not injured initially, only to have medical issues manifest days, weeks or months later. If it’s a hit-and-run accident like the incident above, try and take a picture of the car’s license plate. If that’s not possible, try and make a mental note of the car’s make, model and color. 3. Call the police: Don’t wait to call 911. Do it immediately and have officers come to the accident scene. This allows them to create a police report and assess the scene. Calling the police as soon as possible greatly increases your chance of getting justice. 4. Collect information from the driver: As stated above, communicating with the driver of the vehicle that hit you is key. 5. Seek medical attention: Even if your injuries appear to be minor, get checked out. 6. 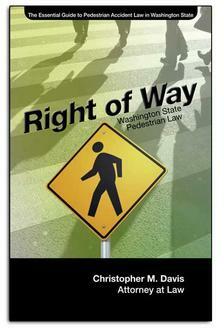 Contact a pedestrian accident attorney: Having someone to represent your rights could make all the difference. An attorney will help you avoid the common pitfalls accident victims make in these cases. You’re also more likely to get a favorable injury settlement if you hire a lawyer.